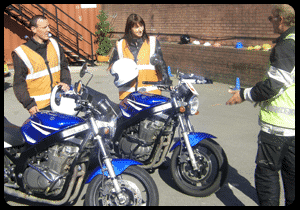 Ace Motorcycle Training is a small yet busy school who have been training people to ride motorcycles and scooters safely on the road since 2000. Based on Brigstocke Road near the M32, Cabot Circus and Stokes Croft. 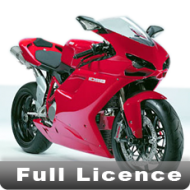 We are also the only motorcycle training school in Bristol to have uniformed Full time employed instructors dedicated to helping people safely onto 2 wheels and have been chosen to do work for The Motorcycle Industry Association, Ducati UK and Fast Bikes magazine. 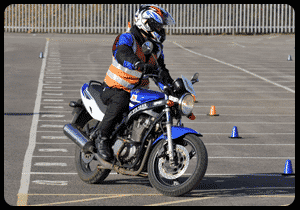 We offer a full range of courses including – CBT (Compulsory Basic Training) including female only days, Full licence courses, Back to Biking and Post-test training including motorways. At ACE we will take care of all your training needs, all you need to do now is book and turn up! 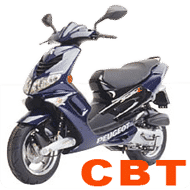 You can now book your CBT online today with our online booking system: click here to book online. Our office is located above the New City Motor Repairs Garage, on the corner of Wilder Street. Minutes from Stoke Croft, Portland Square and Central Broadmead/Cabot Circus.